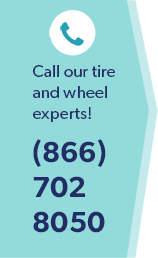 Do you need to buy tires in Fairfax, VA? Vehicle inspections recorded nationwide during 2012 by the Car Care Council revealed 77% of vehicles driving American roadways needed some type of service or parts. High on the list of common problems – drivers need to buy tires. Fairfax, VA motorists have heavy demands on their wallets, but when you buy new tires, you place public and personal safety first. A safe tread depth of at least 1/16 of an inch. Double that amount if you often drive in slick, wet or icy weather. Modern tires have convenient tread wear indicator bars built in. If one or two of these begin to show, the tread is getting low. Do a simple visual check for sidewall cracks, cuts and signs of weathering. Weak spots evidenced by tire bulges and blisters cause sudden tire blow outs. Get to your local tire dealer and buy new tires in Fairfax, VA so you stay safe while you drive. A safe bet is to buy tires in Fairfax, VA from your local authorized Goodyear tire dealer, Wiygul Automotive Clinic. With an impressive inventory of dependable Goodyear tires and ASE-certified, AAA approved technicians, our automotive team has you covered with exceptional service and knowledgeable tire specialists. We guide you through the purchasing process so you get the right tire for your vehicle and driving profile. When you buy tires in Fairfax, VA drivers will all be safer, and you will drive with confidence rather than concern. Dependable Goodyear tires receive awards and praise from all quarters. When you shop for new tires, make sure you receive accurate information, great pricing and the quality automotive and tire services you deserve when you buy Goodyear tires. Fairfax, VA motorists can trust the hard-working ASE-certified mechanics for honest, reliable service and repairs and to keep their vehicles performing at their best. When you buy tires in Fairfax, VA, come to Wiygul Automotive Clinic for reliable Goodyear tires with safe and cost-effective car care.